Content marketing is a concept that many startups struggle with; predominantly because it requires near-term concentrated investments of time. Early stage companies are very time poor and the concept of sitting down and spending hours creating content can seem ridiculous. Even if it sounds like a good idea, who has the time to spend an afternoon crafting a blog post that may generate inbound traffic in six months – when your inbox is filling up with every word you type. It’s true, content marketing probably isn’t going to generate an organic inbound lead the day you publish a blog post. You might start seeing a trickle of organic search visits after a month, perhaps a few more after three months. Maybe the true organic traffic potential for your post isn’t reached until six months after it’s published (more on content creation as a startup marketing tool here). That’s a long time to wait for your ROI. Good news, your bank account is flush right now. You’ve closed a round, you’re doing some hiring and as it turns out you’re killing it generating leads from paid search. Those leads are only costing a few dollars each and are working their way through the nurture cycle and into the Sales teams’ hands as opportunities very efficiently. It is a wonderful feeling. The cash crunch is coming. 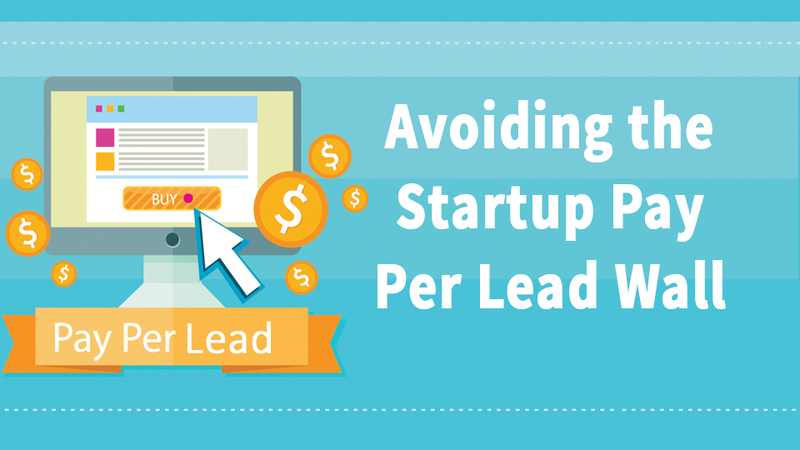 Unfortunately, in the early days many startups hit the “pay per lead wall.” This is when a cash pinch arrives, and one of the first things that gets cut is the marketing budget. Given the choice between turning off AWS, laying off engineers or cutting back on AdWords – scaling back your marketing budget may seem like the obvious choice. This starts a vicious cycle. Less leads being purchased means fewer opportunities for Sales to work. When Sales has fewer opportunities your pipeline shrinks. Soon that means fewer sales closing, which equals less revenue than forecasted. Now more cuts have to be made and the downward spiral begins. Generating content early on can be extremely helpful when you hit the “pay per lead wall”. Being strategic about blog posts and other types of content as part of an overall inbound and organic strategy (more on that here) means that when the cash crunch looms – there are still organic leads coming in the door. There won’t be as many, but organic leads tend to be higher converters than most types of paid leads, so you still have something to feed your Sales team when money gets tight. If you’re growing your business, making the time to sit down for a few hours to create content can seem like a low priority. However, content marketing can be your life line when the cash crunch hits and you can’t afford to pay for leads. The catch is, you have to commit to producing great quality content early and consistently. Creating content once you’ve hit that “pay per lead wall” won’t work. The life cycle of content marketing requires content be published and pushed out in advance; once the spiral starts it is too late. So please – make the investment today.